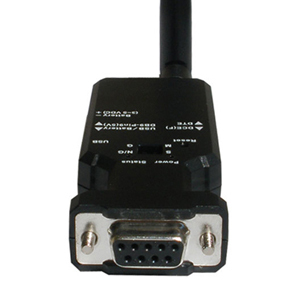 This industrial strength serial Bluetooth RS232 adapter is similar to our standard serial Bluetooth adapter, the main difference is that this adapter has an external di-pole antenna which makes it more reliable at longer communication distances and in noisy environments such as factory and industrial environments. 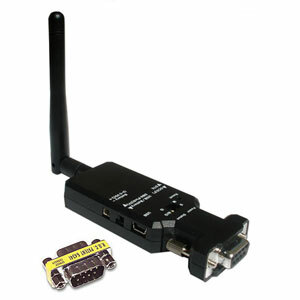 A serial Bluetooth adapter allows you to easily and efficiently establish a secure and highly reliable wireless serial Bluetooth RS232 connection within the 300 feet range, regardless if your application is new or old. This serial Bluetooth RS232 adapter is suitable for industrial applications in machine shops, warehouses, office spaces and other industrial locations which require highly reliable and solid connections. Great for wireless communication with industrial process machinery, CNC's, building control, scales, alarm and security devices, printers, telescopes (tested with ASCOM drivers under Windows with Celestron and Meade telescope mounts and SkySafari on Android), manufacturing machinery and most other industrial and commercial serial devices. This adapter will also work with most Cisco routers and switches (tested with Cisco Catalyst 3560). You can communicate with this Bluetooth serial adapter via standard built-in Bluetooth or by using an external USB Bluetooth dongle. 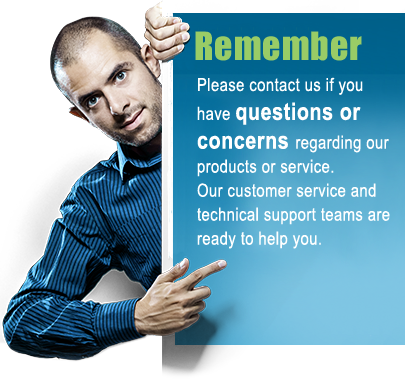 The advantage of using one of these methods is that you will need only one Bluetooth serial adapter to setup a communication link. If you want a direct cable replacement which automatically connects your devices wirelessly without the need for a computer then you can also use this adapter in pairs, (see illustrations below). 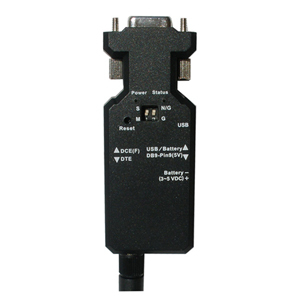 For easy configuration of the parameters in this adapter we recommend using our USB to serial adapter cable part XS880, unless you have a serial COM port available in your computer. The parameters can however also be configured over Bluetooth if you have built-in Bluetooth or if you are using a USB Bluetooth dongle. 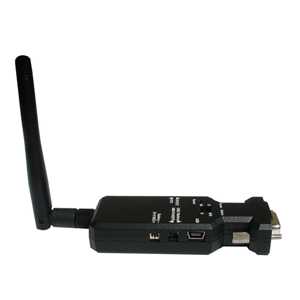 Each package contains one Bluetooth serial adapter which works as a full duplex transceiver, meaning it can both transmit and receive data. You will need two of these Bluetooth serial adapters to setup a communication link unless you already have a built-in or external Bluetooth dongle. Take a look at our detailed setup examples to see how this adapter can be setup. Full duplex RS232 Yes, can send and receive simultaneously both when connected over Bluetooth and when used in pairs.